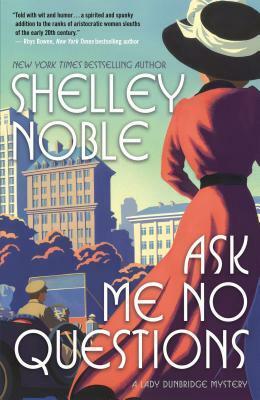 Today I'm featuring Ask Me No Questions by Shelley Noble, which I read for a recent blog tour. The excerpts shared are from an eBook I received from the publisher in exchange for an honest review. Lady Philomena Dunbridge's father slammed the newspaper on the tea table. "This is an outrage." Philomena Amesbury, Lady Dunbridge, glanced at her lady's maid, who stood beside her, clutching the rail of the SS Oceanic, her eyes wide. 56% of eBook: The men's mouths fell open just like those mechanical banks that flipped pennies into a tank. My thoughts: The opening lines hint at the start of an adventure. And, indeed, Lady Philomena takes fate into her own hands by leaving the bleak prospects of widowhood behind in search of brighter prospects across the pond. Eager to begin a new life chapter, she sets sail for America, where she reunites with Bev Reynolds, her former school friend and prominent member of New York's elite. But before Phil gets a formal introduction to New York Society, she is caught up in a murder investigation . . .
You can read my review of Ask Me No Questions, the first book in the Lady Dunbridge mystery series set in Gilded Age Manhattan, and enter a giveaway here. From Goodreads: Murder and scandals abound in Noble's fresh look at the dazzling world of 1907 Manhattan, from the decadence of high society balls to the underbelly of Belmont horse racing, with an amateur sleuth as scandalous and sparkling as Old New York itself. 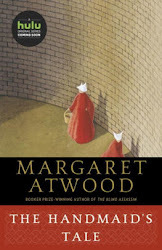 Lately, I've really been enjoying historical mysteries so this one seems like a book I'd want to read. Thanks for mentioning it! I do enjoy the sound of this one, and have been wanting to read this author. Thanks for sharing, and for visiting my blog. This does sound good. I have been enjoying quite a few books in this genre. This week I have a historical mystery - A Moment in Crime by Amanda Allen. Happy reading! I'm curious for more!! I added you to the Linky. Happy weekend! Thanks for your feedback, Freda, and for adding me to your Linky. I left early this morning for an Open House at Penguin Random House and your post wasn't up yet. It is a most enjoyable genre! The story is set in a very fascinating time. Hope you have the chance to read it! Seems like there's a number of historical mysteries on the list this week. I like how the main character is from somewhere else so she'll have a fresh take on things. I've heard about this series and it sounds like one to start. I enjoyed your post and am glad to learn about this book. It looks like fun, and I love the setting!